If you're a fan of paddle shifters--and we are--the Charger V-6 has 'em, while we still wait for them to appear on the hotter R/T and SRT8 versions. Cue the Springsteen: Blue-collar virtues get the hero treatment in the 2012 Dodge Charger. 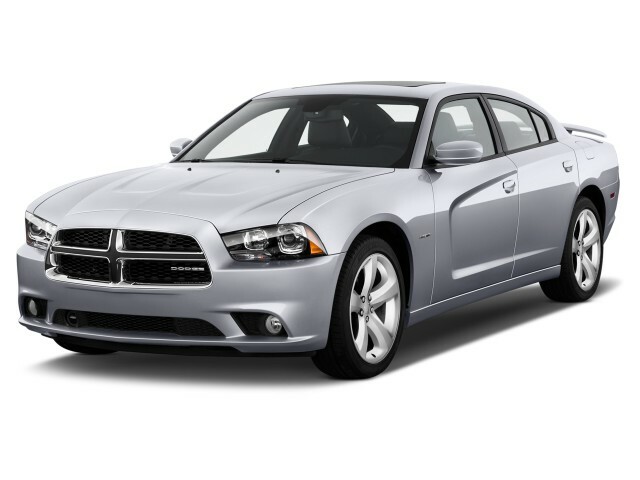 A big family sedan in the classic Detroit mold, the 2012 Dodge Charger keeps getting better with each new model year. Revamped with a lot more flair and features last year, this year's Charger adds a new eight-speed automatic to boost gas mileage over the 30-mpg mark, while it also blows the doors off hot domestics and seeks out initials like M, AMG, and RS with the spectacular SRT8 package. Neat and notable when it was reintroduced in 2005, the current Charger's gone overboard to play up its American bona fides. The body's now inspired by nothing less than a Coca-Cola bottle, with a classic crosshaired Dodge grille grafted on the front end and lots of LED bulbs glowing around its rear end. The Charger's flares and filligrees pop on camera and in person, striking a masculine nerve. It's a commanding shape that looks as ready to attack the road as any supersedan--especially when it's an SRT8, when the grille turns into a gaping maw, when the body add-ons drop as low to the ground as possible. Inside, the treatment's less flamboyant, with big dials hashed with red markings, and the former dash reshaped into a rounded, driver-oriented piece. The dash is covered with metallic-printed plastic with some wide, unused stretches, which gives it the look of a brisk remake, but the fit and finish are much improved. Most Chargers are powered by Chrysler's new 3.6-liter V-6, with 292 horsepower, and base versions have a five-speed automatic. A respectable performer in that form, the Charger gets much better this year with a newly available eight-speed ZF automatic. Offered with paddle shift controls, the automatic clicks off clean gearchanges, maxes out the Pentastar engine's power better than other Chryslers with six-speed automatic do, and pushes the Charger's highway gas mileage ratings to 31 mpg. Entirely different priorities can be satisfied with the Charger R/T's 5.7-liter HEMI V-8. With 370 horsepower and a five-speed automatic--and an earthy, metallic exhaust note--it pushes 0-60 times below seven seconds and dramatically ups the Charger's engagement factor. The kingpin of the lineup is the 6.4-liter HEMI V-8, with 475 horsepower and a five-speed automatic, good for 0-60 mph times of under five seconds and with its own lascivious V-8 mating call. Handling ranges from mildly entertaining in the base rear- and all-wheel-drive Charger to muscular in the R/T and SRT8 models. The Charger's steering is quick but in most versions, pretty light to the touch. The upgrades to shocks and bushings last year were tidy clean-ups to the Charger's classic big-car handling. Body roll nearly disappears as you move from base cars to the SRT8 and its new adaptive suspension, and ride quality on the lineup progresses from comfort-tuned to aggressively firm. Still, despite its size, the rear-driver Charger models feel more agile than a Taurus or Maxima, thanks to frisky way it responds to a nudge of the gas. The emotional styling of the Charger doesn't compromise its utility very much. The roofline's tall, the front seats are wide and lightly bolstered (thick, firm sport seats are offered on HEMI cars), and the doors are cut widely to make the Charger as functional as possible. It meets police-duty standards for tucking in perps, at least, and that's something to remind tall rear-seat passengers of when they squawk about tight head room and the rumble of HEMI exhaust. The Charger's been named an IIHS Top Safety Pick, and high-tech safety grafts like a rearview camera, active cruise control, and blind-spot monitors are available. 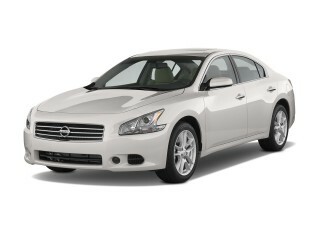 Standard features include air conditioning; cruise control; power windows, locks and mirrors; a power driver seat; pushbutton start; and an AM/FM/CD player with a 4.3-inch touchscreen control. Options like a sunroof, Bluetooth, and leather upholstery are joined by more exotic offerings like in-car wireless Internet, via a 3G data dongle; a navigation system and real-time traffic information; and voice control for audio and navigation. Appearance packages add splashes of classic musclecar color to the Charger, while a Road & Track package tightens the suspension and adds 20-inch wheels. 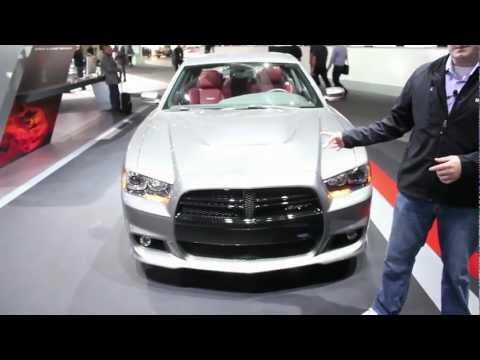 The 2012 Dodge Charger is commanding, almost predatory, on the outside; yet inside, it's function over form. The styling of the Charger was already neat and notable when it was reintroduced in 2005, but the current version's gone overboard to play up its American bona fides. The body's now inspired by nothing less than a Coca-Cola bottle, with a classic crosshaired Dodge grille grafted on the front end and lots of LED bulbs glowing around its rear end. The Charger's flares and filligrees pop on camera and in person, striking a masculine nerve. It's a commanding shape that looks as ready to attack the road as any supersedan--especially when it's an SRT8, when the grille turns into a gaping maw, when the body add-ons drop as low to the ground as possible. At the rear, 164 LED taillamps comprise a racetrack of rear lights that spans across, and the squarish tail is topped off with a spoiler on some trims. The treatment inside is way less flamboyant, but we like that. With big dials hashed with red markings, and the former dash reshaped into a rounded, more driver-oriented piece with a little bit of squish. The dash is covered with metallic-printed plastic with some wide, unused stretches, which gives it the look of a brisk remake, but the fit and finish are much improved, and materials are well-coordinated. A new eight-speed automatic transmission makes V-6 models smart performers, but the Hemi models are still the seductive ones. While enthusiasts will still peg the scorching, Hemi-powered R/T and SRT8 versions of the Charger as most desired, the all-new eight-speed automatic transmission that's being introduced for 2012 on V-6 models does, in some ways, change the game. The new transmission takes full advantage of the silky, even power delivery of the 292-hp, 3.6-liter Pentastar V-6 that was introduced last year; and while the old four- and five-speed automatics were underachievers with the V-6s, sapping even more of its performance, this ZF eight-speed is quite the opposite. With relatively low ratios in the first few gears, it rapidly bumps up a gear at a time during light to moderate acceleration, allowing a perky driving feel, yet at a highway cruise, the engine's just loping along. But that's not a bad thing; the transmission always seems ready, and with a quick prod of the right foot it simply grabs the right gear and goes. Also contributing to the perky feel in the lower gears is that the new transmission doesn't allow a lot of slip. Even though the V-6 is much more enjoyable this year, the V-8s remain the stars of the lineup. Not many sensory perceptions can equal the throb of a massive V-8 in full mating call, and the HEMI V-8 is the equal of Ford's Mustang V-8 for its lascivious racket. Play around the 2000-rpm to 3000-rpm range and the HEMI connects with your inner lothario. The 5.7-liter belts out 370 horsepower with the thrilling force of great gospel music—and you won't be shocked if the 0-60 mph numbers flying around put this R/T in the 5.5-second range. The huge Hemi is a very forgiving engine, and it actually pairs well with the five-speed automatic, which includes a manual-shift mode. The Charger actually drives like a somewhat smaller car--that is, unless you opt for Dodge's all-wheel drive system, which makes the steering more reluctant to unwind and in general, makes the driving feel bulkier. For 2012, there's a new Blacktop Package, which brings 20-inch performance tires on Pitch Black five-spoke alloys; a performance suspension; sport seats; and a Pitch Black grille theme. There's also an R/T Road & Track Package, which includes a rear differential with 3.06 axle ratio, performance powertrain calibrations, a high-speed engine controller, 20-inch chrome-clad wheels, and special badging. The kingpin of the lineup is the 6.4-liter HEMI V-8, with 475 horsepower and a five-speed automatic, good for 0-60 mph times of under five seconds and with its own lascivious V-8 mating call. The 2012 Charger is quite roomy inside, considering the stylish exterior. 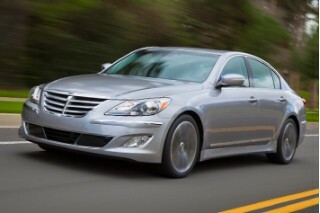 Ride quality in V-8 models, and those with larger wheel upgrades, is noticeably harsher than in V-6 models. In those models, it feels quite sophisticated, quiet, and well-damped, but in the R/T or SRT8 it can be a little jittery at times. Likewise, there's a bit more engine noise in the Hemi cars--that is, if you count the Hemi's throaty rumble to be a 'noise' (we'd call it a soundtrack). But with thicker glass and more soundproofing, road and wind noise are well damped no matter what; interior materials and trims are top-notch, and they fit together well--all to give the 2012 Charger a premium feel inside. The Charger has a good safety record; your cautious better half might have trouble resisting. The 2012 Dodge Charger might look bold and brash, but its occupant protection is among the best in its class. And with its high airbag count, and high-tech safety grafts like active cruise control, rearview camera, and blind-spot monitors, it has enough to give safety-minded spouses the green light. Front-seat active head restraints were added to the Dodge Charger's list of safety features last year. And electronic stability control, full-length side-curtain airbags, and a driver's side knee bag remain included in all Chargers. And in addition to active cruise and the blind-spot system, adaptive cruise control, forward collision warning, and rear cross-path detection are all on offer. In the more stringent federal NCAP tests introduced last year, the Charger has achieved five stars overall (out of five), with a top score in side-impact protection and four stars for frontal impact. The 2012 Charger is also an Insurance Institute for Highway Safety (IIHS) Top Safety Pick, with top 'good' ratings in all categories. With UConnect Touch, the 2012 Charger is now up to snuff in connectivity and entertainment. To most shoppers, engines are really the key feature difference between trim levels of the 2012 Dodge Charger shoppers; but there are other equipment differences that you might like to know about. The 2012 Charger comes in SE, SXT, R/T, and SRT8 models. Charger SE and SXT models include the Pentastar V-6 and eight-speed automatic, while the R/T gets the 370-horsepower, 5.7-liter Hemi V-8. 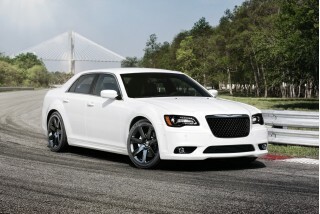 SRT8 models jump up to the 6.4-liter Hemi's 470 hp and 470 lb-ft of torque. Moving up to the SXT is all it takes to get the beautiful new UConnect Touch system (plus voice commands and integrated Bluetooth); SXT models also get dual-zone climate control, Alpine premium audio, power heated front seats, and power heated mirrors. On both the SXT and the R/T, a Plus package adds 18-inch chrome-clad wheels, premium leather, heated/cooled cupholders, LED overhead lighting, and LED-illuminated footwells. Base SE models get a smaller 4.3-inch touch screen, but they do come with a power driver's seat, Keyless, Enter 'n' Go, push-button start, and other extras. Two special models pack the most into R/T models. The R/T Road & Track includes die-cast paddle-shifters, heated-and-ventilated sport seats, power adjustable pedals and steering column, a performance powertrain controller, a rear differential with 3.06 axle, and 20-inch chrome-clad wheels with performance tires. And the R/T Max packs on the tech, including adaptive cruise control, forward collision warning, blind-spot monitoring, rear cross path, ParkSense, ParkView (camera), Alpine surround, SmartBeam headlamps, a heated steering wheel, rain-sensing wipers, and more. The 2012 Dodge Charger might charge past your fuel budget if you pick the R/T or SRT8, but the V-6 is now an efficient pick. With the introduction of a new eight-speed automatic transmission in V-6 models, the Charger becomes considerably more fuel-efficient for 2012. 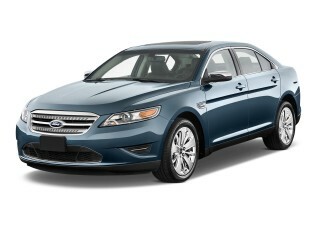 EPA ratings for rear-wheel-drive models with the V-6 come in at 19 mpg city, 31 highway--very respectable for a large, performance-oriented sedan. And even with all-wheel drive, the V-6 lands at 18/27. Hemi V-8-powered R/T models include Fuel Saver Technology (cylinder deactivation), and do quite well considering their 370-hp output; they're at 16/25, with AWD models down to 15/23. And if you're getting an SRT8, you're definitely not interested in gas mileage--that model gets 14/23. Only 4 door car I have ever owned, the styling sets it apart from the others. 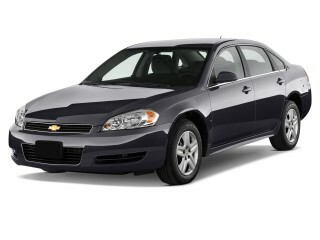 Quality, comfort, performance and American made.Charger is a fun case to drive and always get a thumbs up from people.